Poetry Friday--National Little Pampered Dog Day! Yes, there is such a thing as National Little Pampered Dog Day! It is held each year on April 27. 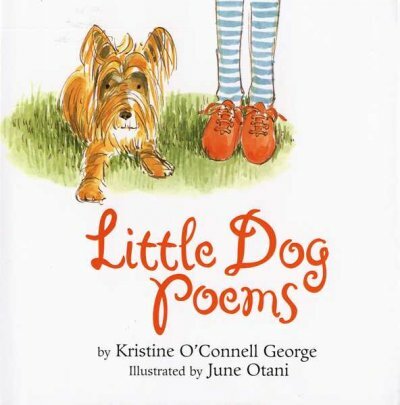 So, on this special day, my favorite dog poems are a perfect fit--Little Dog Poems by Kristine O'Connell George, illustrated by June Otani [JP GEO]. 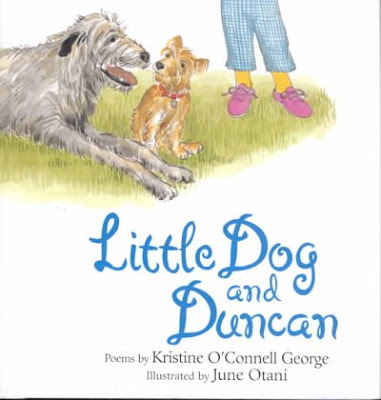 Little Dog and Duncan [JP GEO] by the team of poet, Kristine O'Connell George and illustrator, June Otani, is a companion to Little Dog Poems and introduces us to a BIG dog named Duncan who comes for a visit. Irene at Live Your Poem is hosting this last Round-Up of 2018 National Poetry Month. It's even cooler to make your own! Recipes can be found in many basic cookbooks including the classic, Joy of Cooking by Irma S. Rombauer [641.5 ROM], and The King Arthur Flour Baker's Companion: The All-Purpose Baking Cookbook [641.815 KIN]. Famed children's author/illustrator, Eric Carle, has a picture book called Walter the Baker [JP CAR]. Walter is given a challenge "to invent a roll through which the rising sun can rise three times." How do you suppose he does it? The runaway bestseller of 2008 by Mary Ann Shaffer and Annie Barrows, The Guernsey Literary and Potato Peel Pie Society [F SHA, LP SHA, AB/CD SHA, eBook] was released in a film version in the U. K. on April 20. The U. S. theater release date is uncertain at this point, but Netflix has acquired the rights to stream it. This old film has been restored with sound added and shows the bustling New York of 1911. Many of the shots include landmarks that still exist today, for instance, the Statue of Liberty and Flatiron buildings. One of the things that amazes me is the amount of horse dung in the streets. We suffer from vehicle exhaust fumes today, but back then it was animal waste! Yesterday marked the 48th year of Earth Day. 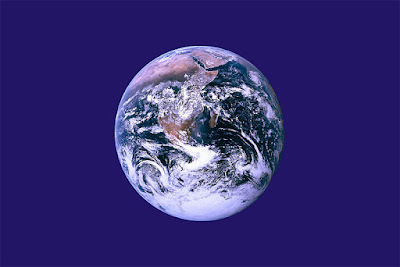 It is a day reminding us that the Earth's environment is at risk and it is up to us to work to protect it. The history of Earth Day is found in the children's book, When Rivers Burned: The Earth Day Story by Linda Crotta Brennan [J 333.72 BRE]. 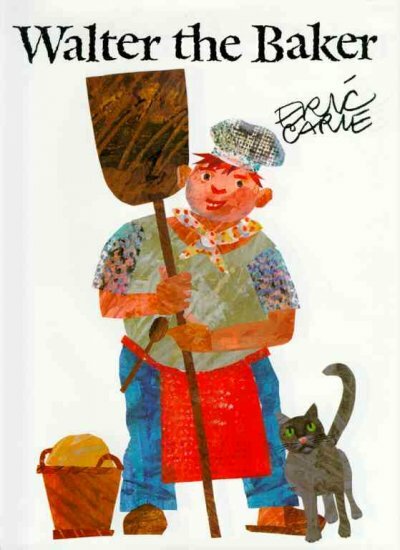 There are many other titles in our collection for kids about Earth Day and preserving the environment. The moment you pick up a plastic bag, you’re gifted with a sliver of eternity — you can use it all you want, until it’s ripped to shreds and smelly and damp; you can use it as poop-scooper, a hair cover, or a trash bag, over and over and over. It’ll never really go away, even when you want it to. Not even if it’s torn to shreds and thrown out. Not even if it gets eaten by an animal. A million sea birds die each year from plastic entanglement and consumption. The bags also clog sewers and cause floods during storms. 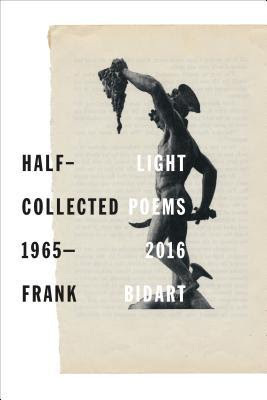 On Monday, the Pulitzer Prize for Poetry was awarded to Frank Bidart for Half-light: Collected Poems 1965-2016. It's a title that we do not currently have in our collection, but we do have Bidart's poetry included in several anthologies. In Poems to Read: A New Favorite Poem Project Anthology, edited by Robert Pinsky and Maggie Dietz [808.81 POE] is "Lament for the Makers." through it, in diamonds against polished black stone. a house that she did not loathe; paintings, poems; me. This particular poem is also included in Half-light since the book includes all of Bidart's previous books plus a brand new one! The poem gave me pause, how about you? I can see it being read in multiple ways. Head over to The Opposite of Indifference when Tabatha is hosting the Poetry Friday Round-Up! Actress Kate Hudson was born on this day in 1979. She's just one year away from the big 4-0! Hudson is the daughter of comic actress, Goldie Hawn, whom I remember from her younger days on Laugh In, so I'm finding it hard to believe that her daughter is nearing 40. Having a famous mother might have made it easier to break into film acting, but Kate Hudson has made a name for herself on the basis of talent. At the age of 21 she was nominated for an Academy Award for Best Supporting Actress for her role in Almost Famous [DVD ALM]. Over the years Hudson has starred in many films, including Marshall [DVD MAR] the recent bio-pic of Supreme Court Justice, Thurgood Marshall, recently released on DVD. We have a dozen of her films in our collection! Cost of Living, by Martyna Majok. The Gulf, by Jack E. Davis. 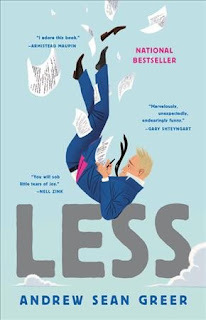 Locking Up Our Own, by James Forman Jr.
Because, despite all these mishaps, missteps, misunderstandings and mistakes, "Less" is, above all, a love story. 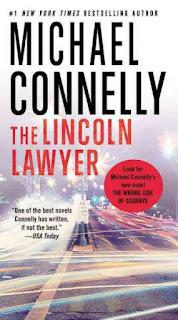 Many of the novels awarded the Pulitzer go on to become extremely popular reads, to see the list of past winners, click here. 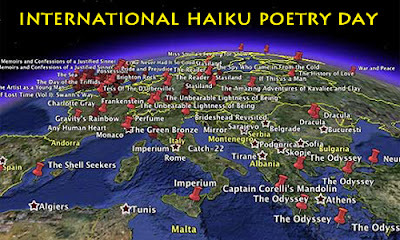 Today is International Haiku Poetry Day! Haiku is a short form of poetry that originated in Japan centuries ago with specific rules about topics and sound words, etc. Somehow, in English, the Japanese haiku was adopted as a poem of three lines with 5-7-5 syllables. Proponents of the form, writing in English, attempt to express a moment "keenly perceived," in as few words as are necessary, so you may find haiku in 3 lines, two lines, or even one line, and, in as few as three words total! Contemporary haiku poets do not spend much time counting syllables, rather, they do their best to make sure the images they use are concise. Unfortunately, in elementary schools, haiku is taught more as a lesson in syllables than as the capturing of a moment. 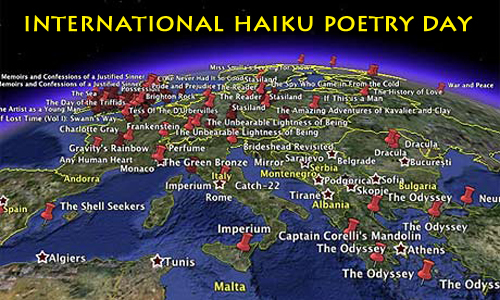 April is National Poetry Month in the U. S., and, today is International Haiku Poetry Day! Visit The Haiku Foundation to learn more. Haiku accompanied by an illustration is known as haiga. The Haiku Foundation has galleries of haiga. Click here to see a sample gallery. Poetry Friday--Happy Birthday, Lee Bennett Hopkins! Today poet, editor, and anthologist (Guinness World Record holder as the world's most prolific anthologist of poetry for children), Lee Bennett Hopkins is celebrating his 80th birthday! According to Guinness, Hopkins became the record holder in 2011 with 113 anthologies to his credit. Of course, seven years later, he has many more to add to the 2011 list. Nesmith Library has 21 titles in our collection that Hopkins has written, compiled, selected, edited, or contributed to; the GMILCS consortium has 65! 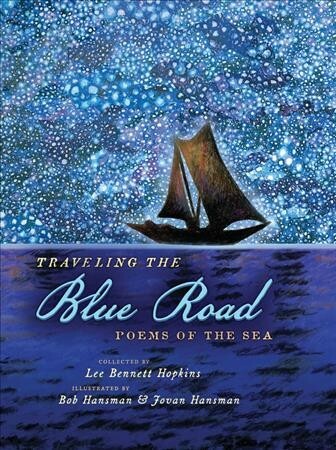 One of our newer titles is Traveling the Blue Road: Poems of the Sea [J 811 TRA], which is masterfully illustrated with mixed media collage by Bob Hansman & Jovan Hansman. 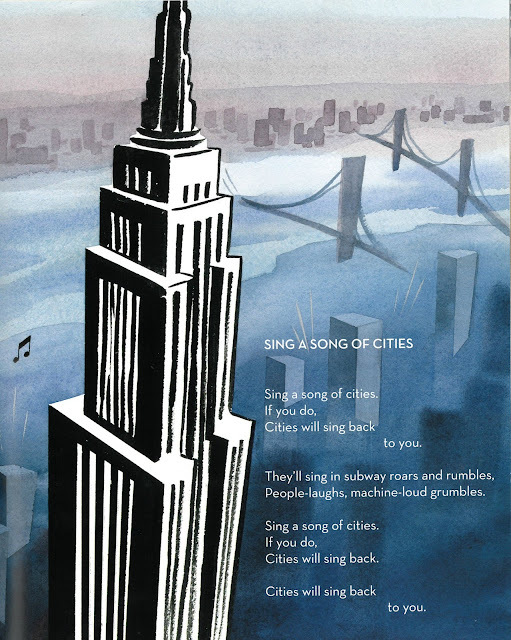 The following poem is from City I Love, poems by Lee Bennett Hopkins, illustrated by Marcellus Hall [J 811.54 HOP]. Our fair state has an abundance of mountains, and a few of world renown. 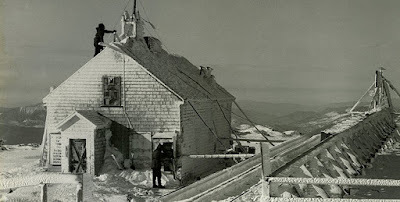 Mount Monadnock in the towns of Jaffrey and Dublin is a destination for climbers of all abilities, and, is claimed to be one of the most frequently climbed mountains in the world. Pinder, Eric. Tying Down the Wind. 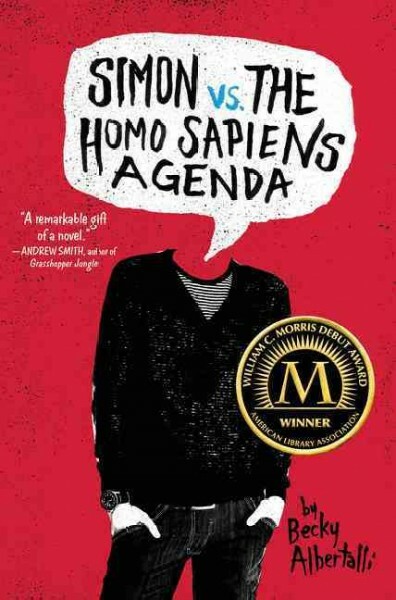 [eAudiobook]. 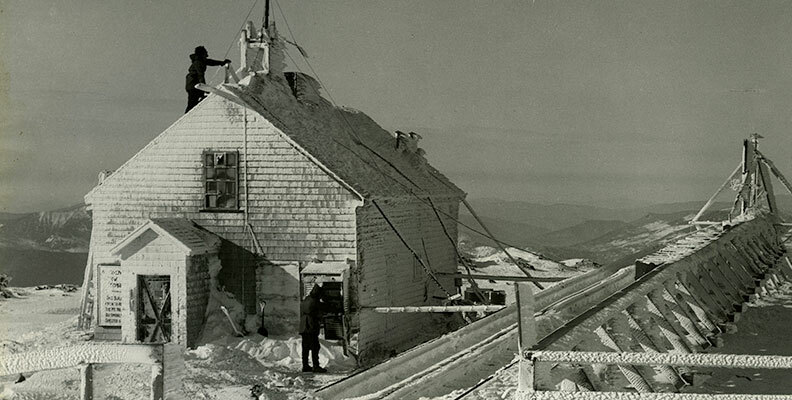 The Mount Washington Observatory, where all the wild and windy weather is recorded, has an interesting website; click here. It's National Library Week this week and today has been designated National Book Mobile Day! Book mobiles are few and far between in New Hampshire, but 80 years ago, the New Hampshire State Library used to send a book mobile to libraries around the state so small libraries could temporarily enhance their collections with books from the State Library. The Nesmith Library, in its old location, used to be on the route! 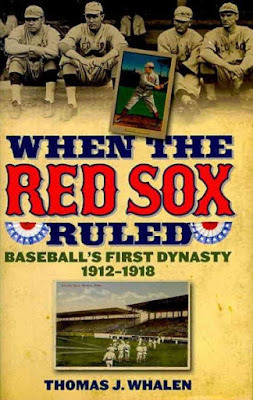 Today, NHSL has regularly scheduled deliveries of interlibrary loaned materials so that libraries can share resources. There are libraries around the world providing mobile delivery of books--and not always motorized delivery! We have two children's books that cover the topic: My Librarian is a Camel: How Books are Brought to Children around the World by Margriet Ruurs [J 027.42 RUU], and a picture book, Waiting for the Biblioburro by Monica Brown [JP BRO]. There are even writers of adult novels who use book mobiles as a setting. 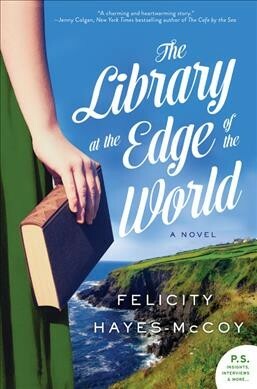 One such book is The Library at the Edge of the World by Felicity Hayes-McCoy [F HAY, eBook]. Today is "International Be Kind to Lawyers Day!" It's a real thing! Most people I know won't go near a lawyer for fear of being billed for a consultation, however, we still can be kind to lawyers. Or, at the very least, we can enjoy reading about them. 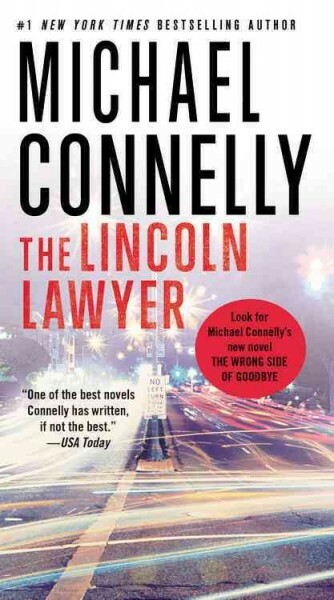 Novels about lawyers, or ex-lawyers who now write about lawyers, are abundant. And, very popular! 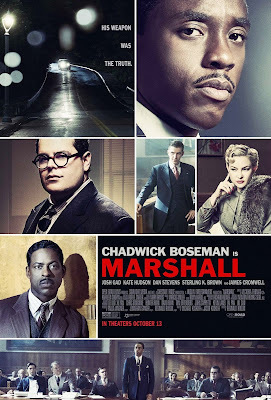 There are plenty of lawyer films, too, including the classic To Kill a Mockingbird starring Gregory Peck [DVD PEC] and the recent Roman J. Israel, Esq. [DVD ROM] with Denzel Washington. 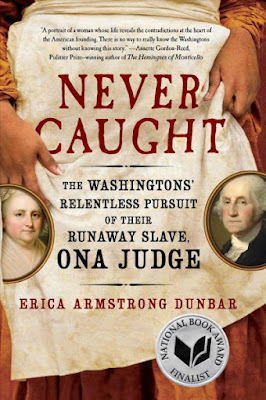 Readers of the May 24, 1796 Pennsylvania Gazette found an advertisement offering ten dollars to any person who would apprehend Oney Judge, an enslaved woman who had fled from President George Washington’s Virginia plantation, Mount Vernon. The notice described her in detail as a “light mulatto girl, much freckled, with very black eyes and bushy black hair,” as well as her skills at mending clothes, and that she “may attempt to escape by water...it is probable she will attempt to pass as a free woman, and has, it is said, wherewithal to pay her passage.” She did indeed board a ship called the Nancy and made it to New Hampshire, where she later married a free black sailor, although she was herself never freed by the Washingtons and remained a fugitive. Oney Judge is the subject of a recent book, Never Caught: The Washingtons' Relentless Pursuit of Their Runaway Slave, Ona Judge by Erica Armstrong Dunbar [973.0496 DUN], which is proving to be a favored read with New Hampshire book discussion groups. 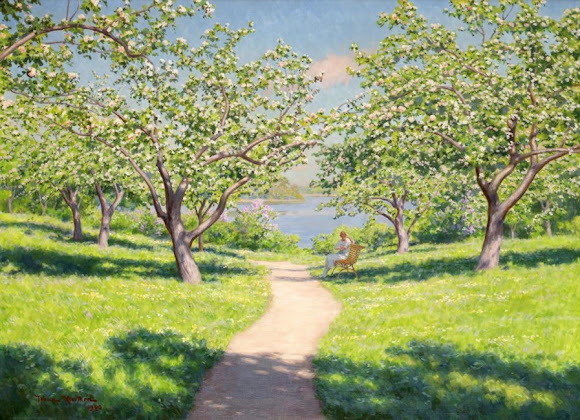 "Woman on the bench in the spring garden" by Johan Krouthén (1920). Today, the snowy remnants of last month's nor'easters are mostly gone and sprouts of green are beginning to appear, so it's the perfect time to share a poem by Edna St. Vincent Millay. It is found in Collected Poems [811 MIL]. I have to disagree with Edna. I'm completely satisfied with the "idiot, babbling and strewing flowers"--life happens every day, but April only comes once a year! And, an "empty cup" can be filled and refilled--so pick something you like and fill your cup with it! Amy is hosting the first Round-Up of National Poetry Month. Visit her at The Poem Farm. The Google doodles of late have been fantastic. 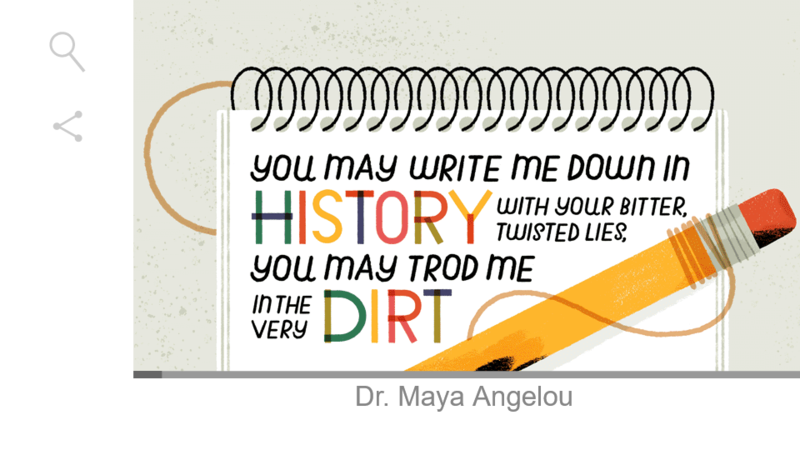 Yesterday, in celebration of poet, Maya Angelou's 90th birthday, the doodle was a video intrpretation of Angelou's poem, "Still I Rise." 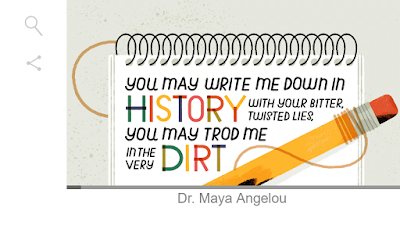 It includes the voices of Dr. Angelou and others including Oprah Winfrey, Martina McBride, and America Ferrera. Time has an article on Angelou where you can view the video. The official start of the Boston Sox 2018 season at Fenway is tomorrow! Winter is over! View the 2018 season schedule here. Throw your Red Sox tees in the wash tonight and you'll be ready for the 2018 WINNING Red Sox season ahead! On this day in 1882, outlaw Jesse James was murdered by fellow gang member Bob Ford. Ford betrayed Jesse for the reward money of $5,000 (over $100,000 in today's dollars). Jesse, his brother, Frank, and several others were known as the "James Gang." They committed bank and stagecoach robberies and murders throughout the Midwest. Jesse James became one of the "legendary characters" of the Old West, and is the subject of novels, and movies such as The Long Riders [DVD LON]. 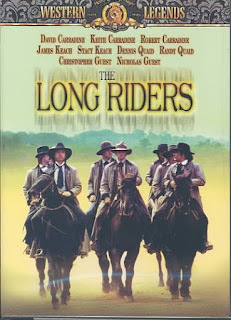 The Long Riders is notable since it portrays four families of outlaws, the Jameses, the Youngers, the Millers, and the Fords. Each of the sets of brothers was portrayed by a set of brother actors! The James brothers were portrayed by James and Stacy Keach. The Younger brothers by David, Keith, and Robert Carradine. The Miller brothers by Dennis Quaid and Randy Quaid. The Ford brothers by Christopher Guest and Nicholas Guest. Read the real story of Jesse James in Shot All to Hell: Jesse James, the Northfield Raid, and the Wild West's Greatest Escape by Mark Lee Gardner [364.1552 GAR] or Jesse James: Last Rebel of the Civil War by T. J. Stiles [B JAM]. 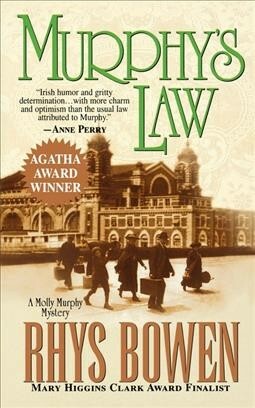 Many motion pictures are based on books, and quite often, the film has the same name as the book (or play) it is adapted from. The recently released movie, Love, Simon, is getting rave reviews. It is based upon a young adult novel, Simon vs. the Homo Sapiens Agenda by Becky Albertalli [YA ALB, eBook]. You might not have made the connection between the two titles! The emotional resonance may be surprising given the movie’s relentless gloss, but it’s real. The spectacularly charming cast, led by the young Nick Robinson in the title role (who brings a knowing touch of 1980s Matthew Broderick to some of his line readings), puts it all across, including a genuinely crowd-pleasing ending. Who doesn't love a movie with a happy ending? Read the book and compare the endings--typically films alter the endings.